Summer’s winding down, and I’m just not ready to change our website banner over to a fall theme yet. I love the summer banner with its hummingbird, flowers, and butterflies too much! So here are a few extra close-ups to enjoy before the season is officially over. 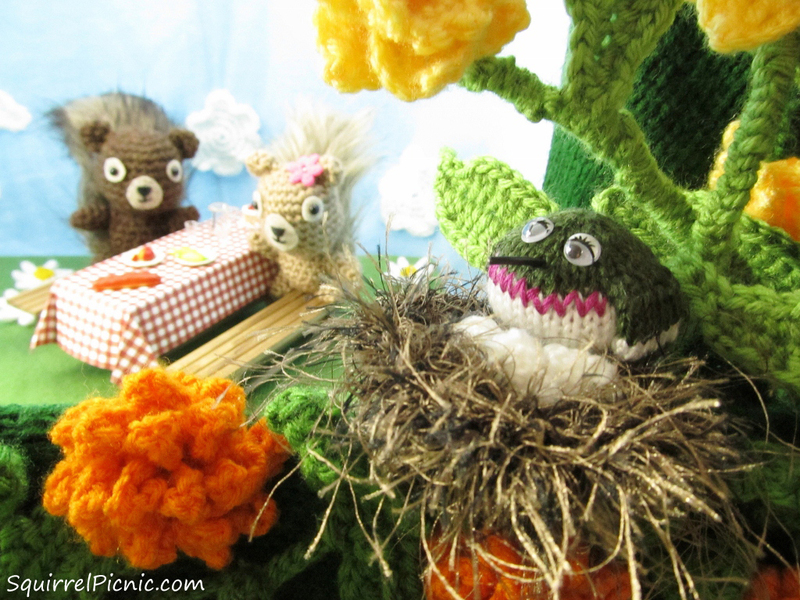 One fine summer day, two little squirrels named Hodge and Podge go on a picnic. 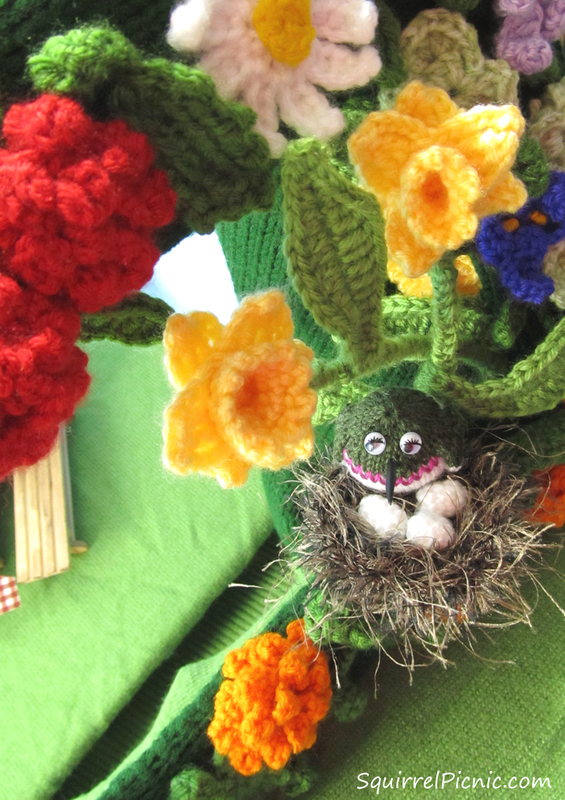 They love to picnic in a garden surrounded by yellow daffodils, red and orange geraniums, and bright white daisies. Podge particularly enjoys watching the butterflies play among the flowers. 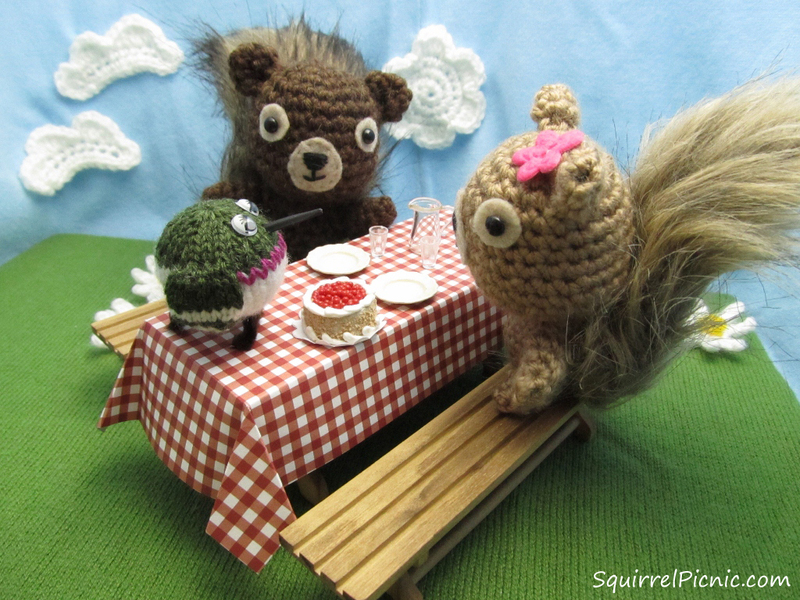 The squirrels invite the hummingbird to join them, and they all enjoy some cake. Thanks for coming to our picnic. We’re so very happy to have you! 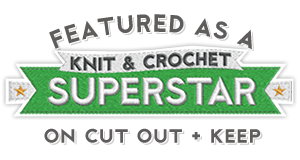 Categories: Banner Dioramas, Crochet It, Hodge & Podge | Tags: butterfly, crafts, crochet, diorama, diy, flowers, hummingbird, knit, squirrel, summer | Permalink. I’ve only just found your blog, but I wish that I’d have found it earlier. It’s so cute! Thanks and welcome to the picnic! Love the name of your blog. The Giraffe’s Moustache. That just makes me smile! Thank you 🙂 It came to me at a very random moment! HeeHee, what a fun thought! Thanks! It’s my favorite time of year! I would live to have all the patterns for end of summer puck nick! 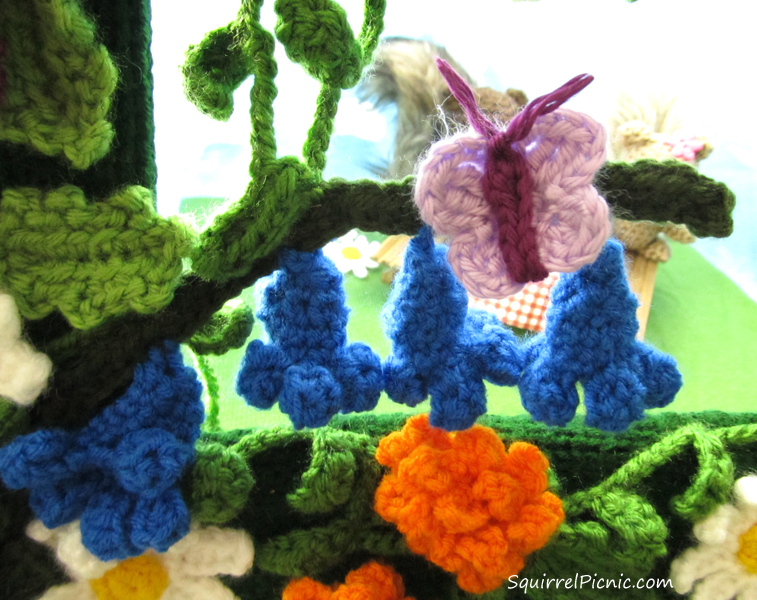 My 3 yr. Ike grandson lives squirrels, and I want to make this while set for his birthday on Oct 31, this summers crochet project! Thank you would so appreciate it! 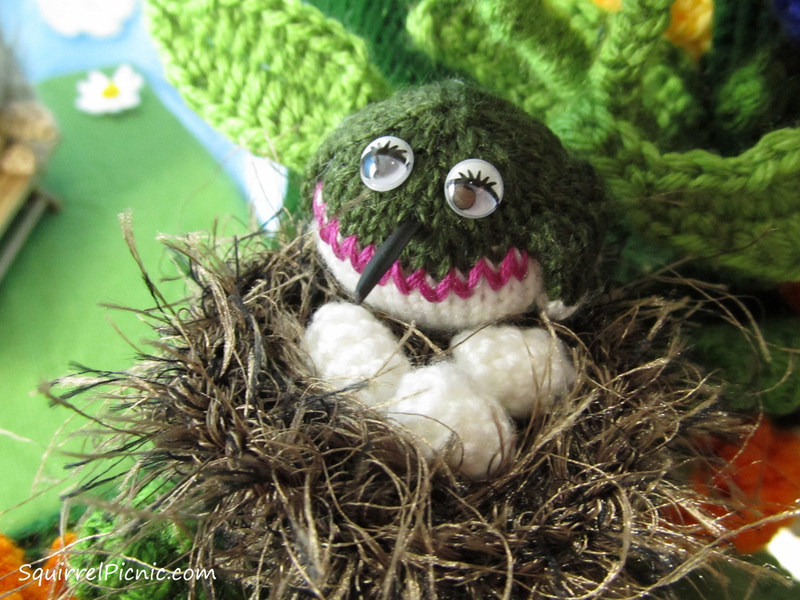 Friend of the little creatures Pamela Cain! Hi, Pamela! I’m so excited that you would like to make a summer picnic set for your grandson. I know he will love it. It’s a big coincidence that you asked me for these patterns, because I was just thinking about blogging about the banner for the first day of spring. On Friday, March 20, I will share on the blog where you can find all the patterns to make the items in my colorful summer picnic. Be sure to sign up to receive email notifications of the happenings here at the picnic, so you won’t miss out on the post. Thanks again, Pamela!